When I was growing up, I wasn’t a huge magazine addict but I do remember a few subscriptions that I had. My interest started with Mad Magazine, and then moved on to Waterski, MuscleMag, and a couple other sports related type mags. The last magazine I can remember buying would have been around 8 to 10 years ago, and it was Maxim. Along the way, I often thought how cool it would be to work for one of these magazines or at least contribute an article here and there. As I got older, I dreamt about working for a travel magazine….flying around the world checking out new locations and getting paid to write all about it. I still have that as one of my goals, but in today’s world it is so much more of a possibility. You see, up until the blog explosion….the only way you could voice your opinion or provide writing material for the world to see was through books and magazines. But in order for your words to become something others would see, you first had to convince the editor or publishing company that you had the goods they were looking for. The same thing used to apply to photographers and videographers, and those of us who do photo or video blogs. In the old days, you’d have to find someone willing to buy your footage, hire you on staff, or freelance. Oh how the world has changed. All of that has gone out the window. These days, absolutely anyone can create their own “magazine” and not only contribute articles or photos to it, we get to become the editor, publisher, designer, and everything else. We ARE the magazine. Today’s bloggers don’t need to sit in on an interview and hope to win over the publication in order to get hired. We also don’t have editors telling us what to write about. Every single one of us get all the creative freedom we desire. 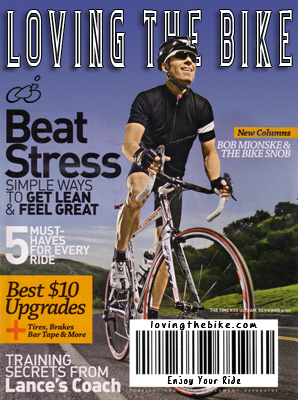 So here we are….smack in the middle of my own cycling magazine called Loving the Bike. Am I providing the stuff that would make it worthy of a prime location on the magazine shelf? What was it about Mad, Waterski, MuscleMag, and Maxxim that made me purchase issue after issue? Mad contained silly humour and great artistry which was what my adolescent mind was after. Waterski and MuscleMag was full of the latest news and information on the two sports I was so passionate about growing up. And Maxxim…….ummm, let’s just say that they had really interesting articles. When I started Loving the Bike, I set out to speak to all types of cyclists by providing posts that were a commonality to all of us. I was after people who were in this for the love of the bike whether they were roadies, mtb’ers, commuters, adventurers, bmx’ers….whatever. As far as I was concerned, all cyclists were champions and this blog was a celebration of that fact. Because of my background, the other angle I wanted it to take was to be a place where cyclists could come to find out some great nutrition and fitness tips that would help make them even better at the sport they love. Six months later, this “magazine” hasn’t strayed too far from that game plan. What I have discovered is that when you love cycling, almost every single thing in your life revolves around the bike. That is the crack that Loving the Bike has sunk itself into. This “magazine” is about life, and how it so beautifully revolves around two wheels on a frame. It is where I live, and I’m pretty sure you readers live there as well. So, yeah, this is a cycling blog. It’s my magazine, and that which carries my voice to the world. We’re a young new mag and we’re still trying hard to find our place in the cycling universe. Hoping hard that we find that “X” factor which keeps people coming back. That little something that provides us with a prime spot on the magazine shelf. If you’re a fellow blogger, congratulations on being the creator of your own magazine. If you are a subscriber…THANK YOU. What is it that keeps you coming back? Haha! A magazine! I’ve never thought of it like that. Nice one! I keep coming back thinking one day there will be free Molson. And the posts are okay. You mean, you never got any Molson? Dude, you’re not quick enough….gave out ten 12 packs just last week. Darryl, I meant to leave a comment yesterday but work got in the way. Congrats on six months of your mag. You’ve put together a great blog and I can literally see your community growing each day as I follow what you do. Keep up the great work. 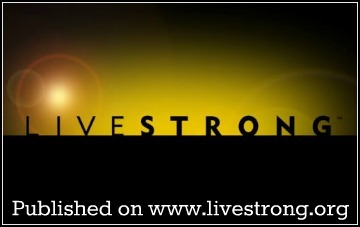 Thanks Bryan, you and I are part of one fantastic cycling community. I love it. Considering that my bike was just another thing in my garage up until a few months (feels more like weeks) ago – I have a lot of reasons to love this “Magazine” of yours. It’s 100% responsible for igniting this fire that burns in me daily, this desire to get on my bike and MOVE. I’ve met some wonderful people (near and afar) and formed some meaningful friendships and I’ve been inspired to be so much more. Also I found this new thing I love to do, developed a respect for the 2wheelers sharing the road and the fact that the dial on the scale is moving left is nothing to scoff at. I hardly make it over the double digits when I cycle in the mornings but I feel invincible when I ride. And some day I’ll be doing 50miles like it’s nobodys’ business (inspired by Darryl and Clive Chapman). You you, Lee….it feels really good knowing that Loving the Bike has helped fuel your desire to ride and all the good things that have come out of it. Thanks for sharing your comments. 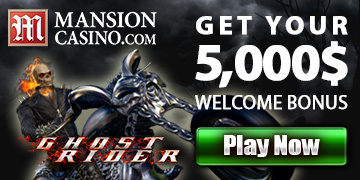 Keep up the awesome riding and continue sharing your successes with us. 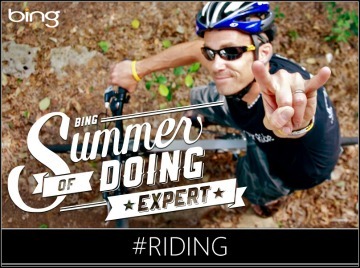 w00t w00t for cycling (esp mountain biking!) bloggers! I still thoroughly enjoy getting a print MTB mag or two… but one every two months isn’t enough! Daily (or near to it) cycling blogs help keep my longing for 2-wheeled reading fulfilled. Good to hear from you, Greg. Yeah, the combination of magazines and blogs is definitely enough to satisfy…..and more. Thanks for sharing your thoughts. Yeah, we believe that All Cyclists Are Champions here at Loving the Bike….doesn’t matter what you ride or how fast you go. I’m glad it comes through. I keep coming back because you write for all levels of cyclists. It doesn’t matter if you cycle 25 or 10 mphs. You see the value in every individual’s effort.